Inner Goddess: If you could go back in time to save your love, would you? If you could go back in time to save your love, would you? Unable to deal with the pressures of living two lives, one in the present time and one in the 1940’s, Norma seeks help from Dr. Darryl Costner, an eminent psychiatrist interested in reincarnation. Darryl becomes worried that Norma will negatively affect the time continuum when he learns she wants to save her former fiancé Trent Taylor, crooner, and co-star of “Sky’s The Limit,” from a so-called accidental death. With this case becoming too complex for him to handle, Costner gets his friend, Shawn Nolan, a scientist from a governmental agency that has discovered how to time travel, to help him with Norma. Assisted by Gary Hertzman, Costner’s young associate, Shawn takes Norma to his secret lab in Arizona where he searches to find a way to prevent Norma from saving her former lover from sixty-six years ago. If he fails in his task, the very future of the country could be extremely bleak. Will he succeed? The story’s conclusion will captivate the readers of this multilevel novel full of suspense, surprises, and twists. A crowd of people gathered in front of a well-maintained cottage on a corner near Main Street. They gawked as a disheveled young woman kept turning round and round senselessly while mumbling something incoherently. Finally, a police car arrived. “Get away from me,” the woman screamed wildly when the two police officers tried to approach her. The police immediately phoned in for an ambulance. When it arrived, the medics spoke cautiously to her. The woman quieted down and stared at them in utter confusion. For her protection, she was carefully strapped to a stretcher and then taken to a nearby hospital for an examination and observation. It was the spring of 1996. Word quickly spread throughout Northington—a small picturesque town in the foothills of the Adirondack Mountains of Upstate New York—that Norma Feinstein, the popular young Drama teacher at Andrew Jackson high school, had a nervous breakdown. Intelligent, pretty, and talented, she was the only child of Ken and Mildred Feinstein. The Feinsteins were the richest family in town. Many jumped to the conclusion that Norma’s breakdown was the result of becoming too high strung, most likely stemming from her “artistic” temperament and over active imagination. If you had refuted them and tried explaining her breakdown was the result of not being able to handle the uncanny ability of traveling back and forth from her present life to one of forty-eight years ago, they would have laughed in your face and called you a weirdo. Yet, who could really blame them for reacting like that? After all, our vain species finds it difficult to accept that we have such little understanding about the universe or life itself. Elliot Richard Dorfman taught theatre arts, broadcasting, music, and social studies in the New York City School System for more than three decades - as well as teaching private vocal and piano lessons from the time he was seventeen years old. Elliot founded Suma Play Productions, Inc., and was the artistic director of the American Youth & American Theatre Repertory Companies. Many of his former students have become successful actors, singers, writers, producers, directors, and teachers in various entertainment fields. After retiring and moving from the city to Upstate New York, Elliot began focusing on writing. Since then, 120 short stories have appeared in 32 publications and several poems in 4 magazines. In 2008, the readers of Golden Visions Magazine voted Elliot as their favorite author. 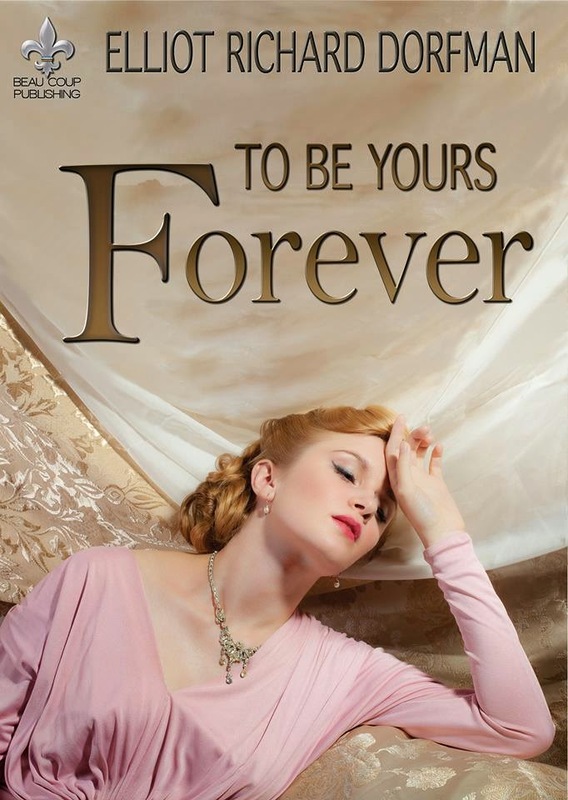 and TO BE YOURS FOREVER, released by BEAU COUP PUBLICATIONS ( 2014). A RAINBOW FOR TOMORROW, a sequel to this novel, will follow. Sure I would, if I knew happiness would result. I love the time travel books.